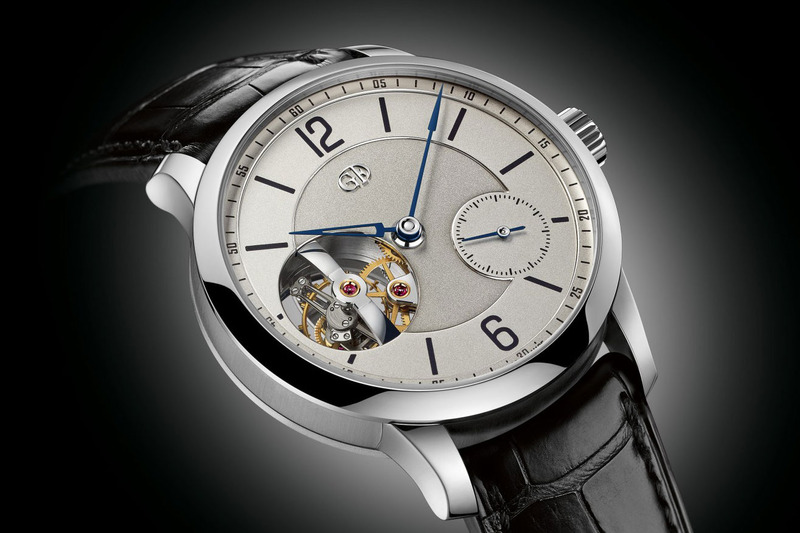 Here are the incredible winners of this year's Grand Prix d'Horlogerie de Genève. Before the cocktail party announcing the winners, at the Hotel Kempinski on Lake Geneva, some of the jurists shared their thoughts on why such a prize is necessary in a world in which the consumer, in the end, decides which watches will succeed and fail. "Wristwatches are superfluous, but these awards urge [brands] to push things forward in interesting and important ways," said Ben Clymer, a jury member and the founder of the website Hodinkee. "What the foundation has understood over the years is that there is no one, perfect watch that ticks every box," added Aurel Bacs, the founder of Philips's vaunted vintage watch program. "The number of categories has increased, so you can compare apples to apples." There were no smartwatches among this year's finalists, although they are not barred from entry if they have a mechanical movement as well. (For example, Frederique Constant entered a horological smartwatch in the past; it did not become a finalist.) This is a topic of some debate among the members of the jury, and tempers flared when it was raised in a group discussion. "We should give up 500 years of [mechanical] watchmaking?" sneered Claude Sfier, a jeweler from Beirut, when asked if there should be a smartwatch category in the future. "I'd feel like I'm showing up with a soft drink at a wine tasting," agreed Bacs. "I have a problem mixing things that shouldn't be mixed." Inspired by the rationalist design of 18th century marine clocks and powered by an original hand-wound movement, Chronométrie Ferdinand Berthoud's big winner stops the eye with an octagonal case that's juxtaposed against an understated, lacquered dial. 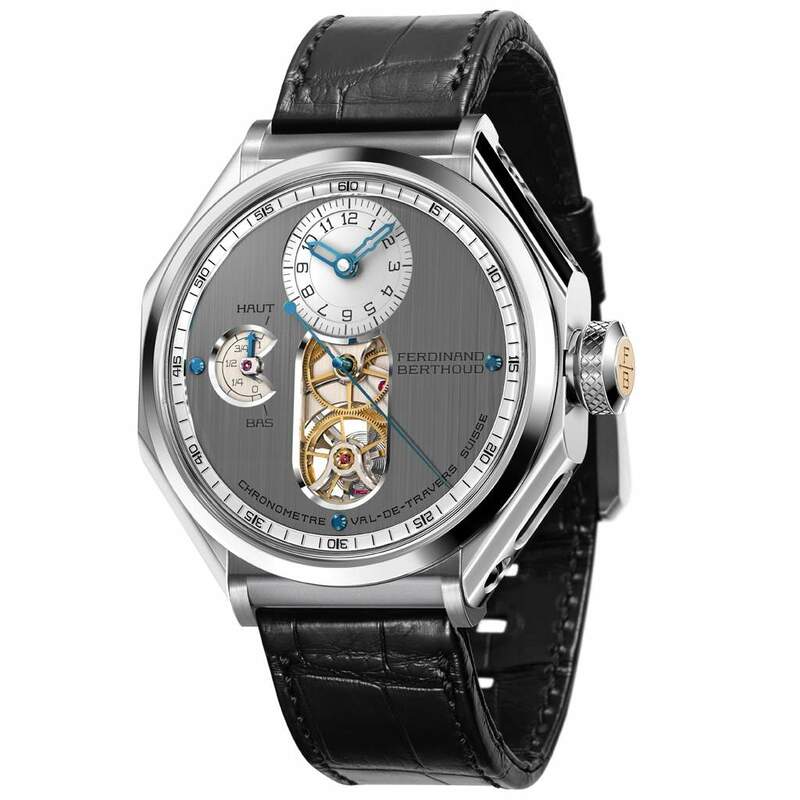 Unlike many perpetual-calendar watches, this platinum dream uses a mechanical processor. It also features a dedicated quickset pusher for your quadrennial leap year adjustment. The slinky, pink-gold bracelet of this Piaget meshes with the spiral of diamonds and elongated Roman numerals to memorably elegant effect. Italian micro-mosaic artist Cesare Bella arranged 5,000 tiny tesserae to create a postcard-perfect view of the Santa Maria della Salute basilica in Venice. Brothers Bart and Tim Grönefeld grew up near a 12th century basilica in the Netherlands. Their father, and his father before him, maintained its clock, the special "church turret" movement of which inspired this mechanism. With 50 diamonds on its oval bezel—and more yet on the buckle of its alligator strap—this Girard-Perregaux is a dazzler, from its leaf-shaped hands to its mother-of-pearl dial. From its plump, fluted crown to its distinguished, deep-blue face to its stately, cathedral-style hands, the 1858 Chronograph Tachymeter Limited Edition pays tribute to the Minerva pocket watch of yesteryear. Inspired by the most exceptional pocket chronometer of 1889, the Esmeralda Tourbillon features a tourbillon carriage 14.3 millimeters in diameter and a balance wheel 10.5 millimeters in diameter. Dramatic to see and intuitive to use, this Fabergé watch presents the local time, with peripheral hands that rotate around a raised dome to display the hour of a remote time zone. This titanium Audemars Piguet makes industrial music, bringing the acoustic clarity and sustained tone of chiming pocket watches to a minute-repeater. The winding crown of the Tudor Heritage Black Bay Bronze echoes the "Big Crown" of 1958 Submariners, and the "snowflake" angular hands allude to a French National Navy design of the 1970s. The clean-lined Scafograf 300 is a self-winding dive watch boasting a date window at 3 o'clock and a helium escape valve at 9 o'clock. In homage to the classic, quilted Chanel bag, diamond squares (augmented with orange sapphires) reflect the brilliance of 53-carat carmine garnet that opens to reveal the dial. In 1976, Heuer designed a chronograph to celebrate both Ferrari and Formula One driver Niki Lauda. Forty years later, the watchmaker sped the sporty model up to date, increasing the diameter from 39 millimeters to 42. This Czapek Genève is the fan favorite, winning votes from the public on the internet and at various international exhibitions. You can have the Grand Feu enamel dial very subtly—almost invisibly—engraved to add further pleasure in enjoying the sweep of its cambered fleur-de-lis hands. This incredible tourbillon was the watch of 2015.